This scholarship is given by Early Music America to an outstanding and highly motivated (and possibly unconventional) young performer of medieval music who seeks to widen his/her experience through more advanced study and/or auditions in Europe. The recipient is chosen by a jury of musicians who knew or worked with the great medieval music specialist and teacher, Barbara Thornton (1950-1998), who came to Europe from New York in 1970, filled with plans to study early music, and went on to co-found the medieval music ensemble Sequentia with Benjamin Bagby in 1977. Applications are open to a young performer with a passion for medieval music and who seeks to widen their experience through more advanced study and/or auditions in Europe. Applicants should be citizens of the Americas who are under the age of 35 at the time of application. Early Music America membership is required of all applicants. Historical performance students qualify for a one-year complimentary student membership. If you are unsure of your membership status, please email info@earlymusicamerica.org. Completed online application forms must be submitted by Monday, April 8, 2019 at 11:59 PM ET. Letter of recommendations must be submitted by Friday, April 12, 2019 at 11:59 PM ET. One recipient will receive a $4,000 scholarship. Scholarship announcement will be made by Friday, May 3, 2019. The application period is now closed. Please check back for updates in January 2021. The selection of Allison Monroe was unanimous and enthusiastic. The jurors were impressed by Allison's clearly-stated project, her presentation, her singing and playing with passion, mastery and depth of feeling, and her dedication to her art. 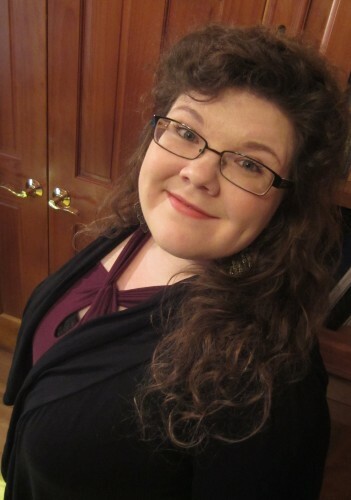 In 2017, Allison will complete a Doctor of Musical Arts in Historical Performance Practice at Case-Western Reserve University (Cleveland, OH), after which she has plans to study and travel in Europe, specifically to gain experience in the performance of medieval music. Previous to this, she had studied viola and violin, awarded a master's in music from the Royal Welsh College of Music and Drama (Cardiff, UK), following a Bachelor of Arts in Music (Violin Performance) at the University of Maryland (College Park, MD). She has performed with numerous ensembles, including the Newberry Consort, and performed a wide variety of medieval repertoires during her years at CWRU. She attended the Sequentia medieval music summer course in Vancouver, where she joined the ensemble for performances of music from medieval France and Aquitaine. In 2016, she founded the ensemble Trobár, with Karin Weston, soprano; their ensemble is “dedicated to searching out medieval music and recreating it for modern audiences” (performances in the Boston Early Music Festival’s 2017 Fringe series). "I am honored and grateful to receive this scholarship, awarded in memory of such an amazing performer and woman. Thanks to EMA and the judges for making it possible for me to continue my pursuit of medieval music in Europe. I look forward to learning as much as possible while I am there and helping to further the field here in the US."